If you plan on visiting Gatlinburg, TN this year with the whole family, there is one attraction you simply can’t afford to miss. You need to bring the whole family to the mountain coaster in Gatlinburg. This is one of the most unique roller coasters in the country and is truly one-of-kind. If you are trying to find something different in a roller coaster and an exceptional way to see the wildflowers on the sides of the Smoky Mountains, you can’t go wrong with the Gatlinburg Mountain Coaster. What makes the mountain coaster in Gatlinburg so special and different from the hundreds of other roller coasters in the country? How about the fact that you are in control of your ride from the starting platform all the way down to the bottom of the ride? Yep, that’s right; you are in complete control. Each car has a set of hand-operated brakes that let you creep slowly (or speed!) down the side of the mountain taking in the scenery at your own pace; you can even stop for a second to take pictures. We offer single-seat or two-seat cars, so you can take a child down with you, or perhaps your significant other. Imagine stopping for a romantic kiss while surrounded by the forests that grow right up to the tracks. Or stopping to show your child the deer hiding in the shadows just out of reach. What an incredible way to make family memories that are going to last a lifetime! Of course, if you aren’t in the mood to go slow, you can leave the brakes alone and go flying along the track at speeds of up to 35 miles per hour. It’s all up to you; you can slow down at some spots and then roar along others. This is part of the thrill of the mountain coaster in Gatlinburg and part of why it has become one of the hottest attractions in the area. Another reason for its popularity is the fact that the Gatlinburg Mountain Coaster is virtually silent. Unlike most roller coasters that have a clunky chain drive that takes you to the top of the first climb, when you enter the car for this coaster, you are already at the top of the ride. The only thing that powers this coaster is gravity. The tracks twist back and forth down the mountain on silent wheels allowing you to travel virtually silently down to the bottom. Once you’ve had your fun during the day, why not pick up your discounted night ride tickets and bring the family back for one last ride at night? 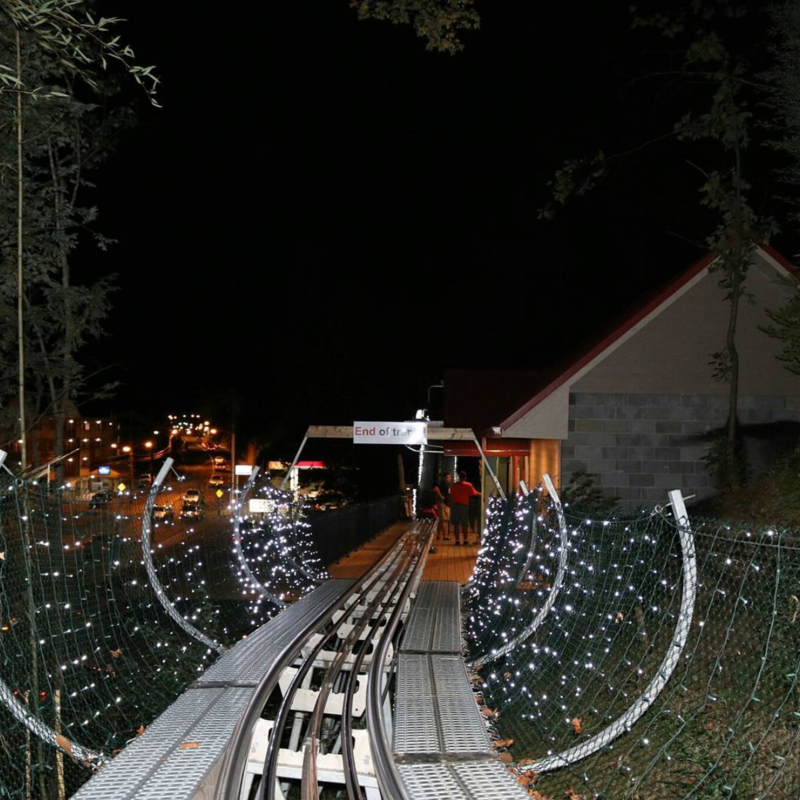 We turn on the thousands of tiny lights lining the track from top to bottom; they look amazing as you fly down the track. 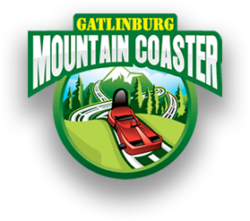 The Gatlinburg Mountain Coaster is open all year round. Why not come back each season to see the mountains in all their glory, including going for a ride in the snow? It’s pure magic. For more information visit us online or call us at (865) 430-5577 to buy your advance tickets.